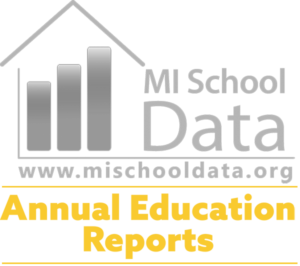 Manistee Area Public Schools has worked hard over the past 6 months developing this powerful communication tool so our MAPS family can find resources, stay up to date on activities, and easily access information daily happenings in our district. Weekly News from the Superintendent: Each week, your Superintendent will provide the MAPS family with an update and highlight of all the major activities, events, and happenings taking place throughout the district. With individual school news, academic achievements, and much more, this will be your source for a quick overview of what to expect of the week to come. Resource pages for each school: When looking for forms, documents, and procedures, the resource pages – which can be found under each school – contain all of the parent and student information you will need. Student Handbooks: Each school has their handbook and all relevant policies that apply to the district and the school under each schools handbook page. Athletics and Activities: A main area of focus with our new website is to enhance the presence of our athletics and activities offered at MAPS. With integrated news, results, schedules and resources, you can easily follow your favorite sport or activity. We would like to thanks the entire MAPS staff, Professional Learning Community (PLC), Board of Education, Student Safety Advisory Council (SSAC), Survey participants, Students, & Rightside Design Group (web development team) for all of the hours and effort put into the creation of this communication tool. We welcome our students, family and community to browse the website and let us know what you think. We are always looking for ways to improve our communication to you all, so any recommendations can be made by emailing us.